Khamis, Marion, Tamara Plush, and Carmen Sepúlveda Zelaya. 2009. “Women’s Rights in Climate Change: Using Video as a Tool for Empowerment in Nepal.” Gender and Development 17 (1): 125–35. An innovative Action Aid-supplied project in Nepal has seen women's empowerment make rapid progress through the use of video discussions about climate change. In this exploration of the project, we ask what we can learn from the use of such technology, and consider the implications for international development agencies and their efforts to support women's rights. Anagnostou, Sotiria. 2015. “Adapting to Climate Change: A Sensitivity Analysis of National Adaptation Programmes of Action Towards Women.” PhD diss., Arizona State University. The most recent decision of the 2012 Conference of the Parties (CoP) to the United Nations Framework Convention on Climate Change (UNFCCC) recognizes that in order to create climate policies that respond to the different needs of men and women a more balanced representation of women from developed and developing countries is needed. National Adaptation Programmes of Action (NAPAs) provide a process for Least Developed Countries (LDCs) to “identify priority activities that respond to their urgent and immediate needs to respond to impending threats from climate change.” Since 1997, the United Nations has agreed to gender mainstreaming- a globally accepted strategy for promoting gender equality by ensuring that gender perspectives and attention to the goal of gender equality are central to all activities in the all UN systems. Due to the gender division of labor climate change will affect men and women differently. Policies and programs that do not take into account the needs and capacities of both men and women will fail to be effective and may worsen preexisting conditions that historically favor men. My research investigates the UN’s commitment towards gender mainstreaming. More specifically my objective is to understand how and to what extent the NAPAs from 49 countries integrate a gender dimension into their national climate adaptation policy. For the purpose of this research, I consider three interrelated issues: whether gender-specific needs and vulnerabilities were identified by the NAPA; if these needs and vulnerabilities were addressed by proposed adaptation projects; and in what forms women participated in the formulation of the NAPA. The scope of this research begins with an overview assessment of 49 NAPAs followed by a comparative assessment of NAPAs from four countries- Afghanistan, Bangladesh, Maldives, and Niger, and an in-depth analysis of Nepal’s NAPA, which incorporates field study. Nepal was chosen as a focus country due to its identification as being both inclusive and gender sensitive. The method of inquiry consists of both quantitative and qualitative analysis, utilizing the quantitative measures of HDI and GII and the qualitative methods of content analysis and case study. The findings suggest that the response to the gender dimensions of climate change found in adaptation policies vary widely among the LDCs and the level of response is dependent upon social, cultural, economic, and political contexts within each LDC. Additionally, I find that gender mainstreaming techniques have not been fully integrated into the NAPA policy and processes, and have not been effective at promoting gender equality through adaptation strategies. Recommendations are provided in order to help mainstream gender in NAPAs as they continue to be developed, revised, and implemented. Chisholm, Amanda, and Saskia Stachowitsch. 2016. “Everyday Matters in Global Private Security Supply Chains: A Feminist Global Political Economy Perspective on Gurkhas in Private Security.” Globalizations 13 (6): 815-29. 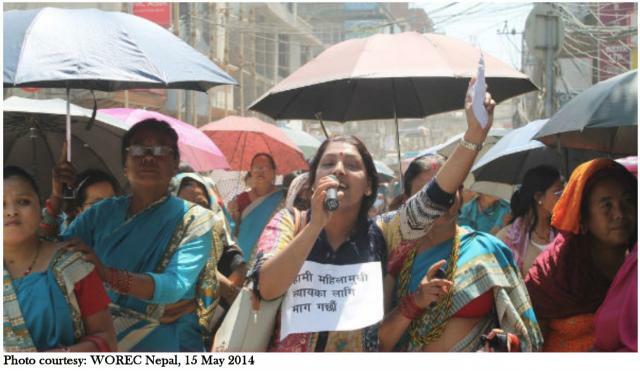 In a case study of Nepalese Gurkhas working for Western private military and security companies (PMSCs), this article develops feminist global political economy understandings of global labour chains by exploring how the ‘global market’ and the ‘everyday’ interact in establishing private security as a gendered and racialised project. Current understandings of PMSCs, and global markets at large, tend to depoliticise these global and everyday interactions by conceptualising the ‘everyday’ as common, mundane, and subsequently banal. Such understandings, we argue, not only conceal the everyday within private security, but also reinforce a conceptual dualism that enables the security industry to function as a gendered and racialised project. To overcome this dualism, this article offers a theoretically informed notion of the everyday that dissolves the hegemonic separation into ‘everyday’ and ‘global’ levels of analysis. Drawing upon ethnography, semi- structured interviews, and discourse analysis of PMSCs’ websites, the analysis demonstrates how race, gender, and colonial histories constitute global supply chains for the security industry, rest upon and reinforce racialised and gendered migration patterns, and depend upon, as well as shape, the everyday lives and living of Gurkha men and women.